Be the first to experience our gorgeous, new location by reserving your Acupuncture Treatment now! Our approach to holistic healing is simple; balance and bring harmony to the mind, body, and spirit through personalized health routines that fit into your everyday life. Using traditional Chinese medicine, VIE HEALING treats patients for a number of symptoms using acupuncture, cupping, moxibustion, auricular acupuncture, and nutrition services to assist you in reaching your wellness goals. "Equal parts wise, beautiful, warm and witty, Mona is a natural. She offers a variety of services and her signature herbal blends, be it tea or supplements, should not be overlooked...they are wonderful!" "Mona has such a relaxing presence and her touch is so gentle I hardly notice as she is placing the needles. Leaving my appointments I feel relaxed, refreshed, and I can feel the acupuncture making a difference the same day as my appointment." "I cannot say enough fantastic things about Vie Healing and Mona!!! I moved to LA a year ago and have chronic health issues and pain. I was beyond lucky to find Mona and her magic needles! She has helped not only with my pain but I have more energy." Our line of teas and supplements offer everyday remedies to enhance overall quality of mind, body, and spirit. Focusing on three main areas; detoxing, calming, and happiness, our herbal blends and supplements provide simple solutions to purify blood, improve sleep, stabilize the nervous system, strengthen immunity, and enliven mood to promote complete vitality. A daily dose of TLC, our teas and supplements will leave you feeling brighter and better. Our Handmade Turkish soaps are made by artisans in Turkish Villages. 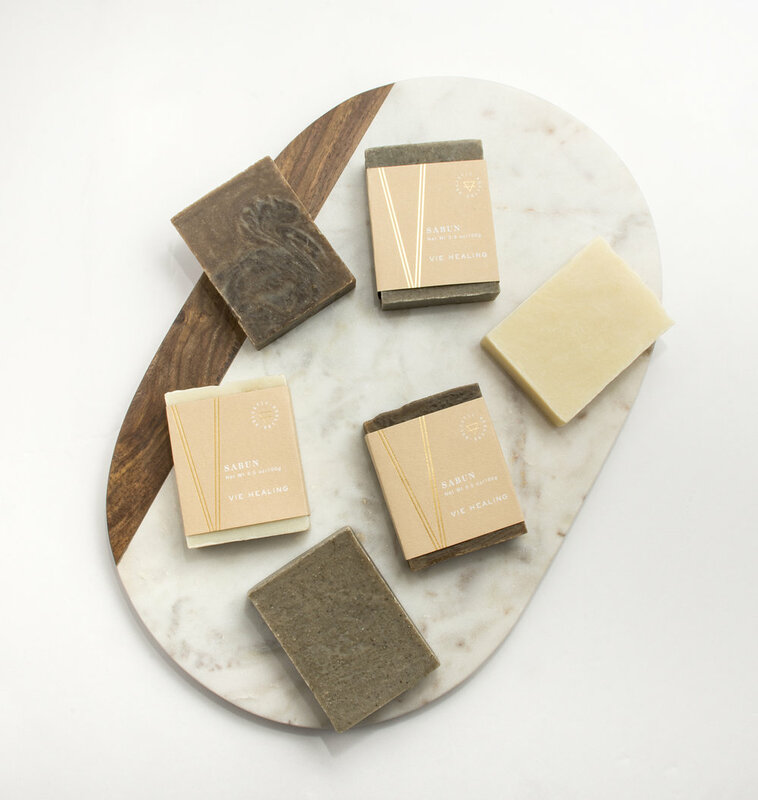 These soaps naturally remove excess oils, bacteria and dead skin cells while allowing for the regeneration of a new healthy complexion. Provides a healthy level of moisture, with natural elements to promote energy, enhance blood flow and detoxification. Choose from 3 renewing flavors or try them all!